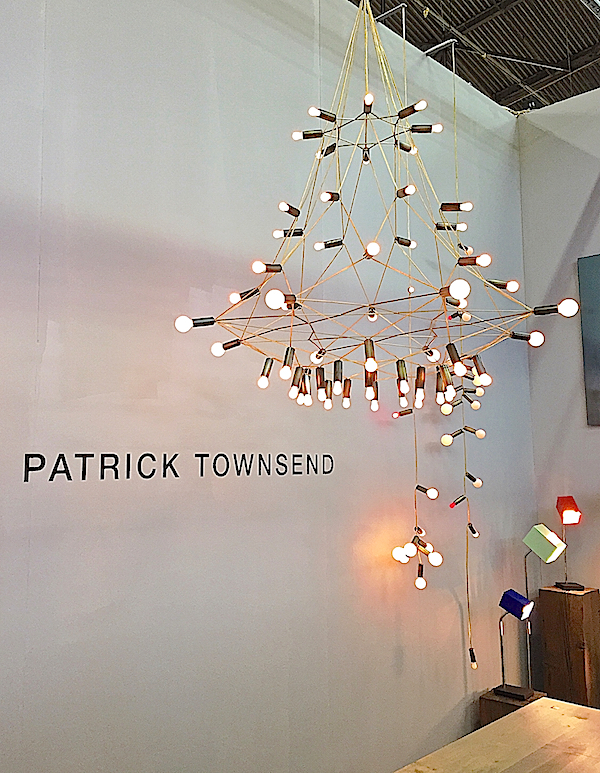 Last week Pier 94 was home to the Architectural Digest Home Design Show 2015. As DIFFA Dining by Design moved next door, the 14th annual edition of this luxury show for the design market expanded to fill the entire space. From large international brands to small artisanal craftsmen, the show offers a wealth of sources. 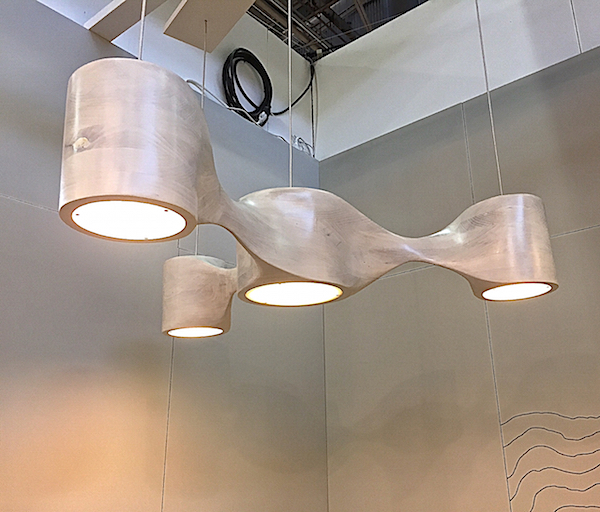 As always, there were returning favorites to see and new exhibitors to discover. Some booths combined talents such as where the creative folks from Calico Wallpaper joined forces with Chen Chen & Kai Williams and Brendan Ravenhill. 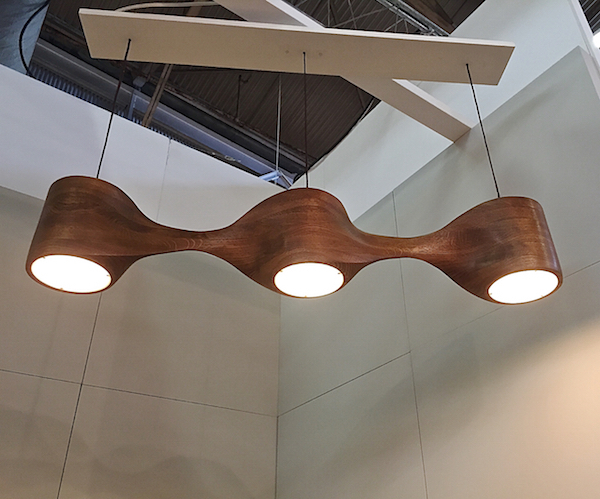 Below, Ravenhill’s Grain Family of lights, so named for the pattern of the spinning tool left and enhanced on the underside of the shades, sit against Calico’s Willow for a vignette of dark modern elegance. 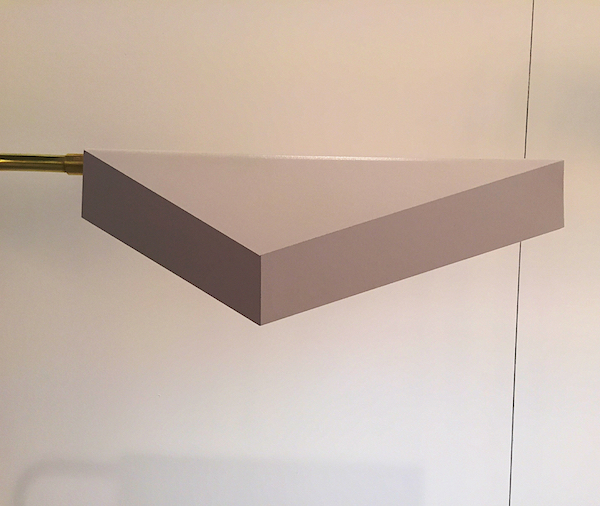 And Ravenhill’s Bare Ring Sconces are the most minimalist expression of lighting for the contemporary purist. Otis and Otis is produced by designer Casey Otis, whose work is material based. 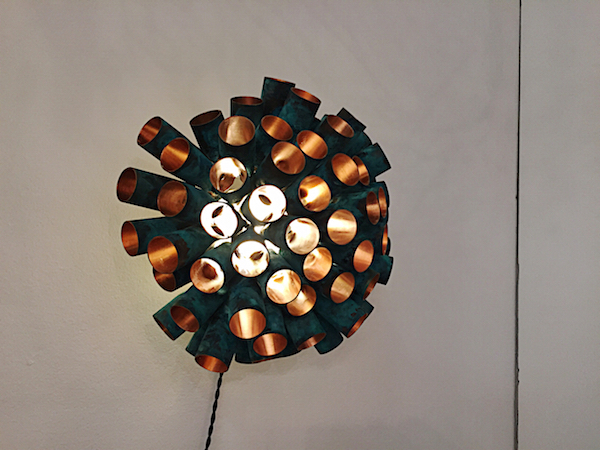 The Arm Light is made from brazed steel rod but it is the hand wrought bronze reflectors that lend the sense of magic. 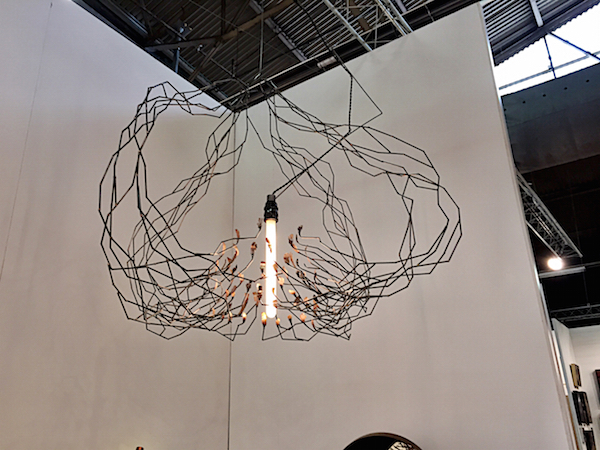 And the Coral Light is formed from copper tubes suspended over a parchment screened figure. The outside of the tubes is patinated, giving the figure a glowing presence. 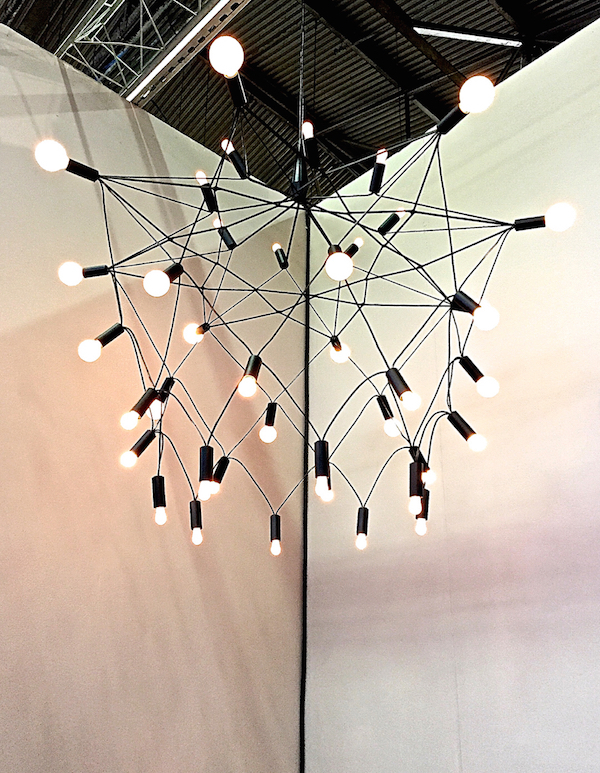 David D’Imperio‘s sculptural lighting represents the melding of the artistic and organic with the mechanical and mathematical. 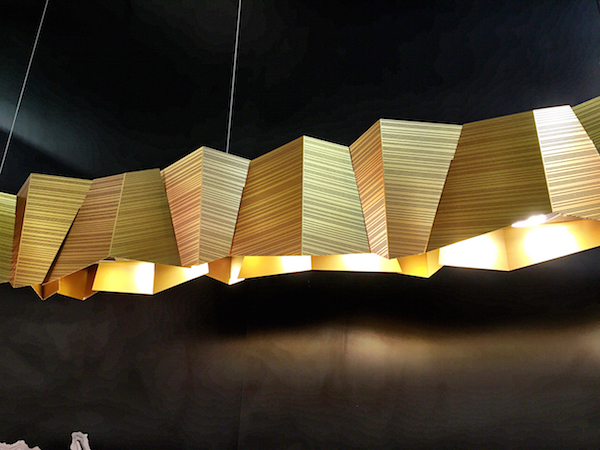 His Helikon light, below, can be custom sized to illuminate and beautify a space. Cocobolo specializes in architectural, decorative and sculptural ceramics. 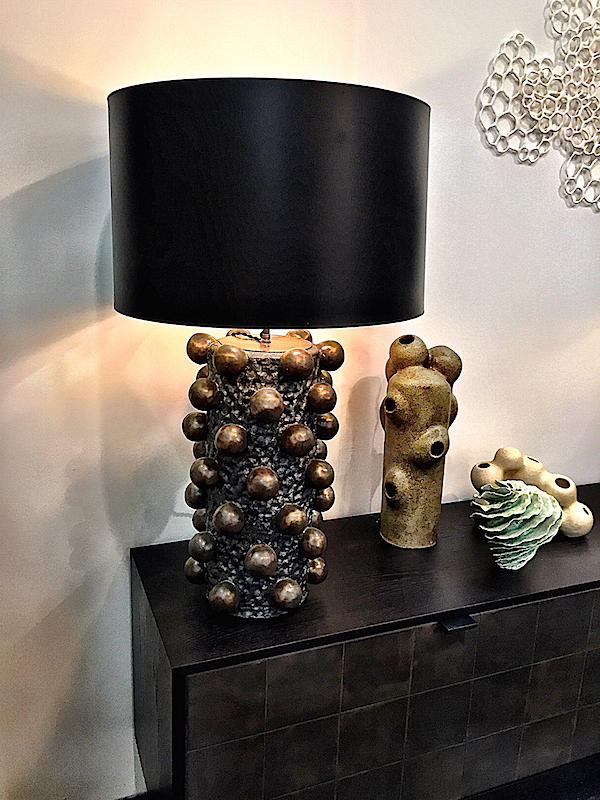 And while they do much more than just lighting, I was intrigued by the bold forms in this lamp by Peter Lane. 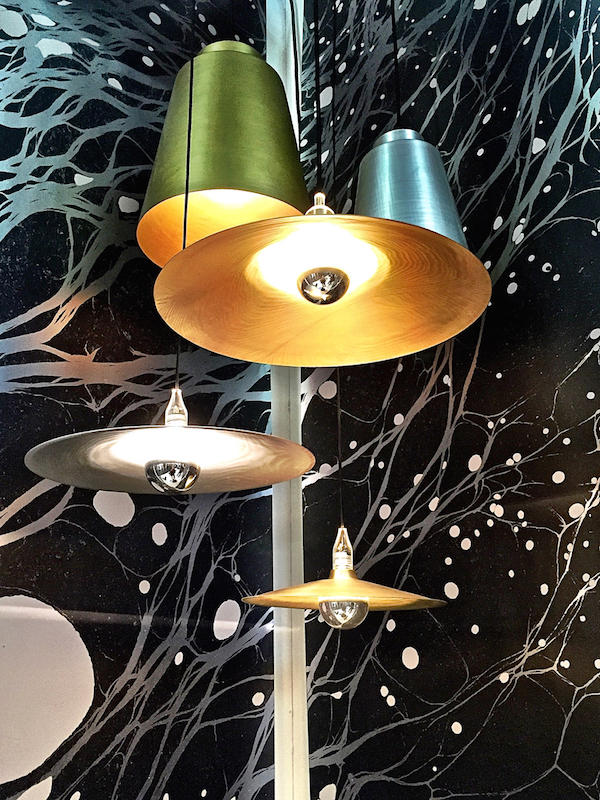 I had to look twice to capture the clever approach to contemporary lighting from DAMM Design, an acronym for Design. Art, Means. Motive. 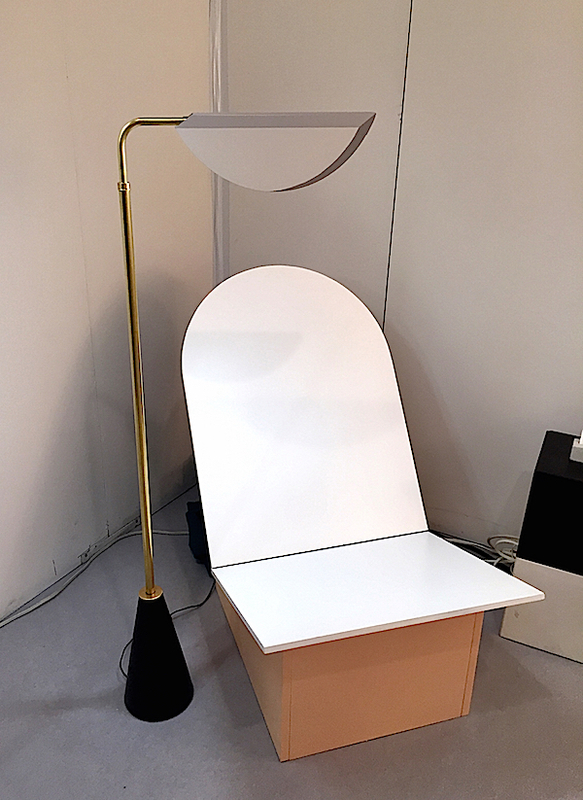 The couple’s new floor lamps feature carefully calculated painted tonal surfaces that, with a Josef Albers like-precision yield three dimensional effects. 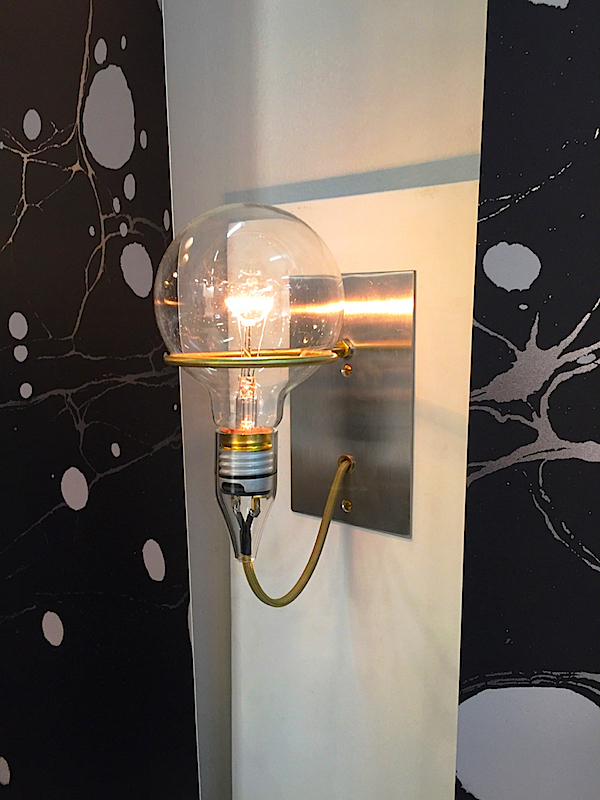 Stop back next time for more from the Architectural Digest Home Design Show 2015. This entry posted in art, design, furniture, gifts, interior design. Entry Tags: AD Home Show, Architectural Digest Home Design Show, Decorating, design show, interior design Bookmark the permalink. These are so cool Stacey!! Love this lighting! Nice lamps Stacey. Some really innovative designs. Second one is simply crazy! What is your favorite?